David’s tertiary musical training was at Hull University where he read Music and was Organ Scholar, and Liverpool University where he gained a postgraduate degree. He won the Turpin Prize for FRCO and was the first ever Organ Scholar at Liverpool Metropolitan Cathedral. David studied the organ with Alan Spedding and Dame Gillian Weir whilst at university. In 1978, David was appointed Organist and Director of Music at St Chad’s Cathedral, Birmingham and continues in this role today. He was behind the decision to commission a new organ there from JW Walker – an instrument widely considered to be one of the finest modern organs in the UK – and directs the Cathedral’s professional choir. David was a member of the full time staff at Birmingham Conservatoire for over 30 years, towards the end of which he was appointed Vice Principal (2008), Acting Principal (2010) and Principal (2012). He retired from the last role in 2015. Apart from teaching organ, choral directing and academic studies, his experience there included curriculum development, quality assurance and international recruitment. He has worked as an external examiner or advisor for the Royal Conservatoire of Scotland, The Royal Welsh College of Music and Drama, The Royal College of Music and the University of Wales. He also served the European Association of Conservatoires (AEC) on its Mundus Musicalis working group and as Chair of a panel of experts in the field of organ building and playing. David remains busy as an organ recitalist and has played in venues in the UK, Europe and the USA, including Symphony Hall and Town Hall Birmingham, Ålands Organ Festival (Finland), Sorø Monastery (Denmark), Notre-Dame Paris, Vilnius, the Edinburgh Festival, Blois Cathedral, Münster Lambertikirche and at both the Sankt Wendel Festival and the Orgelfestival Völklingen-Forbach in the Saarland. He has also performed with Birmingham Contemporary Music Group, appearing at the BBC Proms and the Aldeburgh Festival - performances include Britten’s Church Parables, Varèse’s Ecuatorial and Weill’s Berliner Requiem. 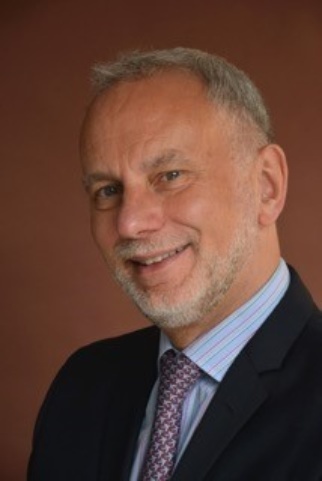 David is a former trustee and Chair of the Royal College of Organists, current Chair of the Incorporated Association of Organists and a trustee of the Bromsgrove International Musicians’ Competition. In 2012 he was awarded Fellowship of the Royal School of Church Music and in 2015, Fellowship of Birmingham Conservatoire.